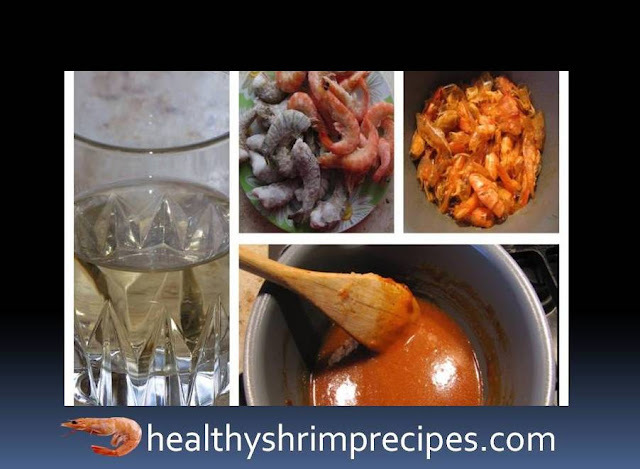 Paella with shrimp recipe is a national Spanish dish. In Spain, there are several dozen options for making paella, which differ significantly from each other in the recipe. Only rice is common to all recipes, saffron, which stains every grain yellow, and a large paella pan the remaining ingredients may vary depending on the area where paella is prepared. 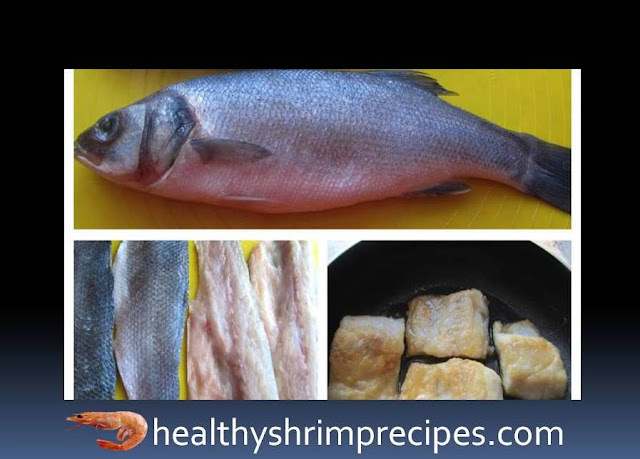 @Step – 1 Sea fish (sea bass) cleaned, filleted, cut into even slices, quickly lightly fried in a heated pan with vegetable oil (just brown, not ready!). Transfer to a bowl and cover with foil. @Step – 3 Shrimp gradually thawed in the refrigerator, clean the shell, heads and intestinal veins. Roast the shells and heads in butter until roasted, pour water (~ 300 ml) and white table wine (~ 100 ml), salt to taste, reduce half the liquid, strain through a sieve. The result is a fragrant shrimp decoction, about 150-200 ml. 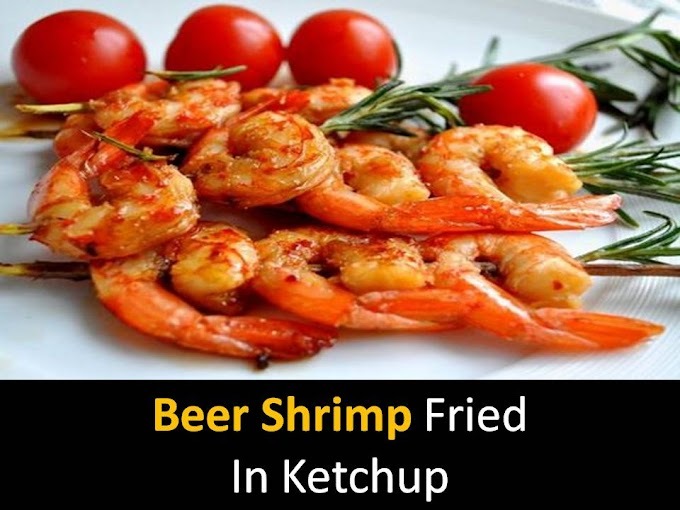 @Step – 4 Fry the shrimp in vegetable oil until roasting, cover with foil. Sea cocktail (ready) gradually defrost in the refrigerating chamber, drain the excess liquid, warm it in a frying pan heated with vegetable oil. @Step – 5 Saffron thread pour broth or water let it brew. Blanch the seasonal tomatoes for a couple of minutes in boiling water, peel off and mash. 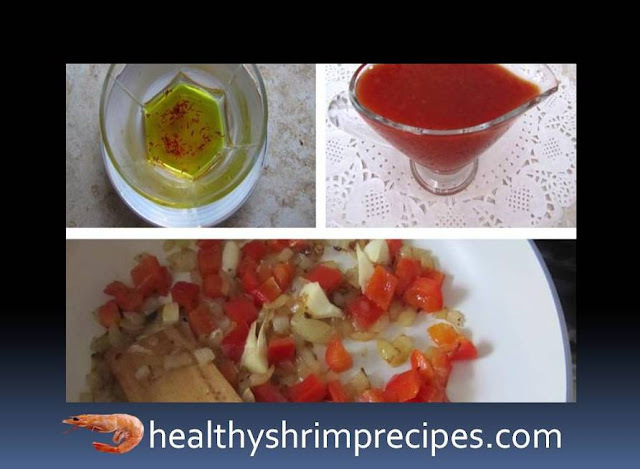 Dice onion and red bell pepper, fry in vegetable oil until onion are transparent, add garlic at the end, fry for a couple of minutes. 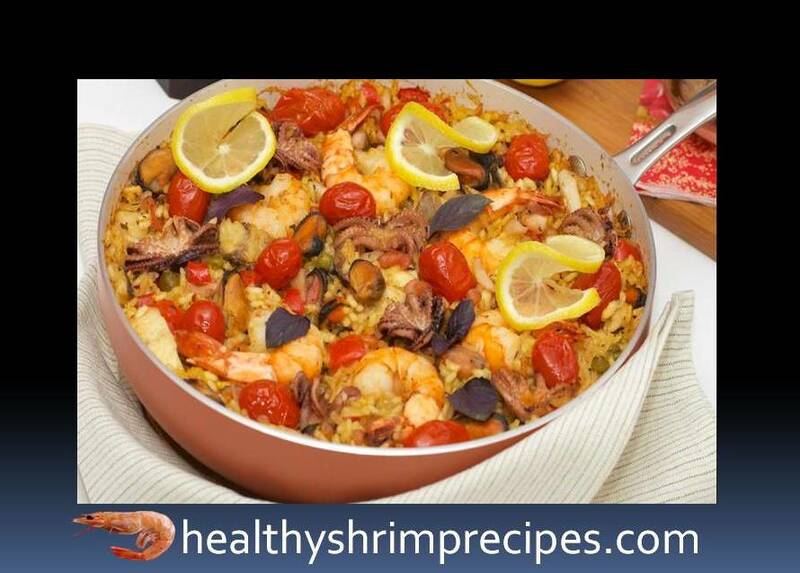 @Step – 6 cooking paella is better on a wide thick wall skillet. 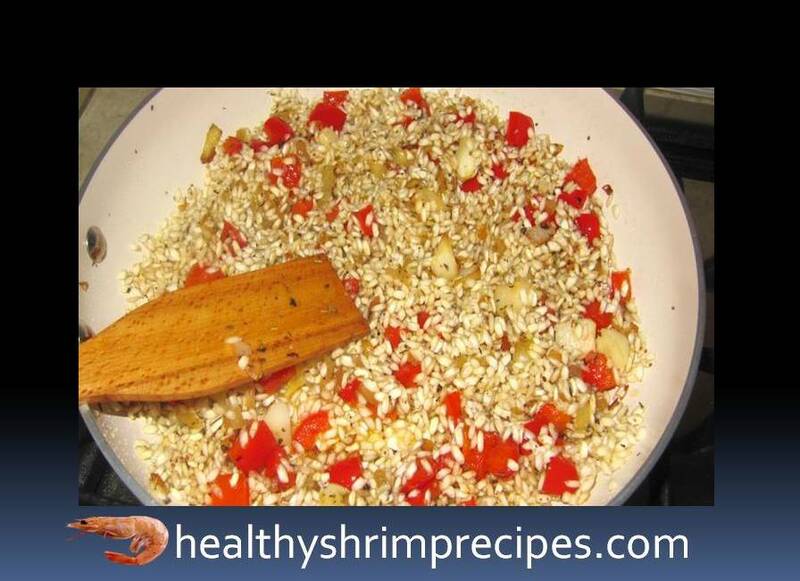 Pour the rice, fry for a few minutes, stirring occasionally, so that it is saturated with oil and warmed up. Pour peas, mix. Sprinkle with oregano, chili flakes. 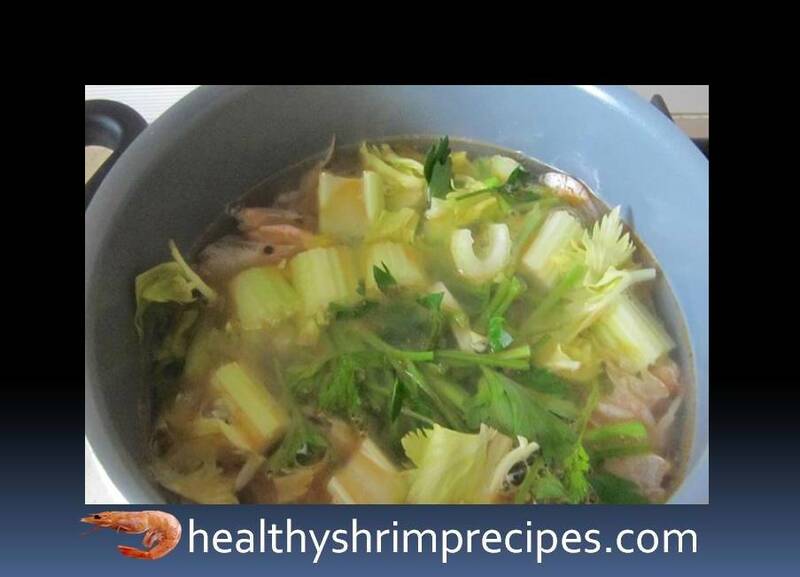 @Step – 7 Combine fish broth with shrimp broth, tomato pureed (to taste). 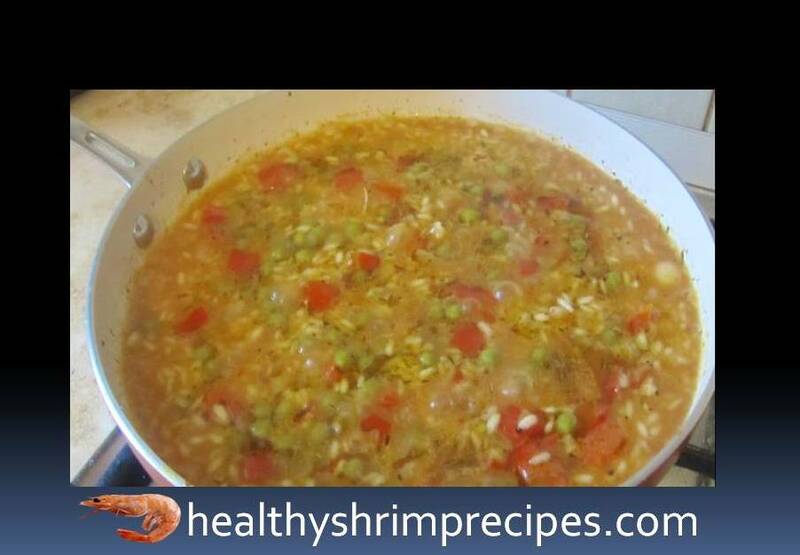 Pour the rice with this broth (about a liter). @Step – 8 at the end of cooking, you can increase the heat for a few minutes to form a brown crust from below. Turn off the heat, cover the paella (pan) with a towel or paper (not a lid!) And leave to stand for 10 minutes. 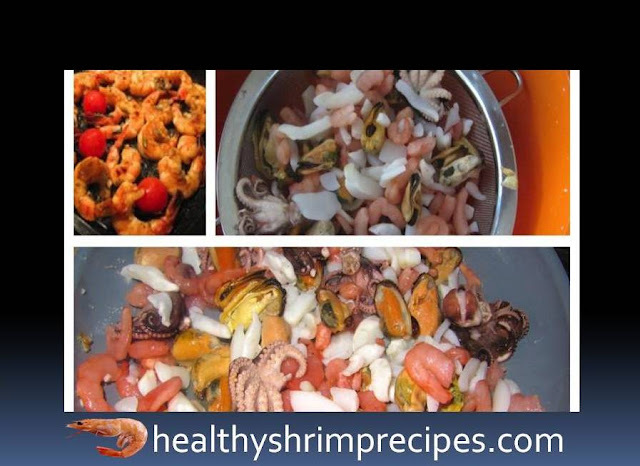 Paella with shrimp recipe is ready to serve directly in a pan with lemon slices.